Mike Small argues the Russian crisis we’re looking at is a distraction from the real Russian crisis we’re living in. 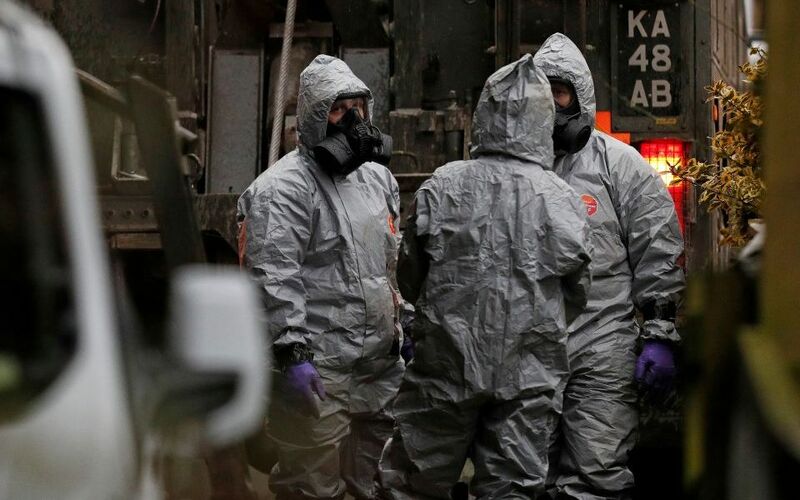 The Sergei Skripal case, and the responses to it, reveal a political culture of tribalism, denialism and mass confusion. Everyone has kompromat, everyone is backing into a position based on propping up their own outlook, facts are thin on the ground, febrile speculation and Russophobia is high in the air, as is apologism for the Russians Undemocracy and appalling foreign policies. First things first, because any conversation about Russia kicks off a spurious melee of ‘whataboutism‘ lets just get right out there with a complete denunciation of British foreign policy and point to our decades-long coverage of it. But this isn’t a zero sum game, nor is it Harry Potter. Britain being an duplicitous murdering foreign power doesn’t absolve Russia of being the same. There aren’t goodies and baddies and the goodies are wearing the white stetson & Russia doesn’t represent ‘the Left’ any more and hasn’t for a very long time. They are, if anything a turbo capitalist authoritarian oligarchy with an appalling human rights record. Why would you defend that? Today and tomorrow Theresa May will be sabre-rattling with little intent and scant credibility. The one thing she could do, she is very unlikely to do, namely shut off the rouble flooding into her party and swilling about London. The Conservative Party has been super-clear on this: they will not hand back £820,000 in donations from Russian oligarchs and their associates, the Chancellor has said, because it would be wrong to “tar them with Putin’s brush”. 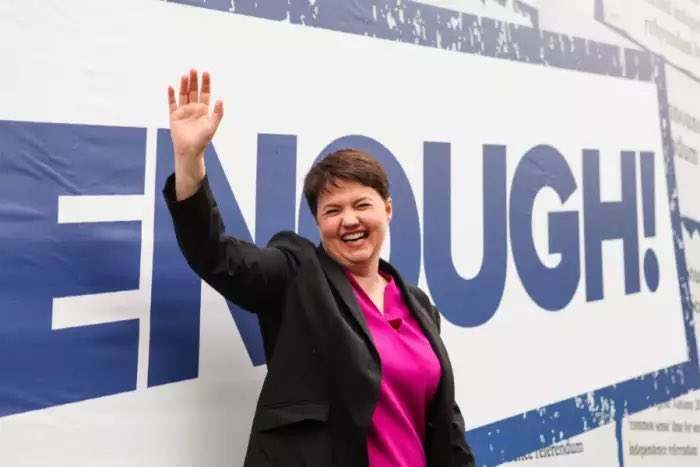 Nor will Colonel Ruth be cancelling her lunch date with Lubov Chernukhin (who coughed up a handy £253,950 to the Tories last year) and bought Davidson for £20,000 at auction at the UK party’s Black and White Fundraising Ball in February. Remember when cash for access was frowned upon? Nor will the case be explored properly or publicly – if Buzzfeed’s two-year investigation (‘From Russia with Blood‘) is anywhere near the money. “A massive trove of documents, phone records, and secret recordings shows Young was part of a circle of nine men, including the exiled oligarch Boris Berezovsky, who all died suspiciously on British soil after making powerful enemies in Russia. The files reveal that Young lived in the shadow of the Russian security services and mafia groups after fronting for Berezovsky – a sworn enemy of the state – in a series of deals that enraged the Kremlin, including the doomed Russian property deal known as Project Moscow. British police declared the deaths of all nine men in Berezovsky’s circle non-suspicious, but BuzzFeed News can now reveal that MI6, Britain’s secret intelligence service, asked its US counterparts for information about each one of them “in the context of assassinations”. Nor will we be getting much support from a Trump administration so soaked in kompromat it’s stitched in to the Make America Great Again caps. Nor will we see much of ‘Global Britain’ at play here, we are now tied to a country that is the laughing stock of Europe, is represented by a discredited Foreign Secretary and is internationally isolated in a way it hasn’t been for decades. This is a world of deliberate and mass confusion. But he is also right to say that “the Russian occupation of Crimea and parts of Georgia is illegal” and “I write as someone who believes that agents of the Russian state did assassinate Litvinenko”. And Russia’s activity in Syria is a travesty that should be condemned by everyone for what it is. There is a tight squeeze going on now and Scottish nationalists should consider whether defending the Russian state for the benefit of defending Alex Salmon’s tv show is a hill they want to die on. In short the Russian crisis we’re looking at is a distraction from the real Russian crisis we’re living in. The nerve agent is money. They’re not coming to steal our food banks and they’re not coming up the Clyde any time soon. They’re already here propping up the Tory Party, running the Premiership and extending their reach in the City and the boardrooms and the political classes. That is as toxic a nerve agent as novochok which undermines the political body and leaves us slumped on a park bench of disinformation. But there is a key difference between the position expressed in this article and the likes of Murray’s. If the Russians are indeed subverting our democracy, which Murray and other RT-sphere types deny, but most mainstream sources acknowledge, then why would the elites like the Trumpists and the Brexiteers, who’ve emerged, in part through that very subversion, start an anti Putin jingoism bandwagon? Simplest explanation is a good one: Putin has decided to secure his personal dictatorship by acting like a ned on the world stage and telling the Russian public: it’s either me or chaos driven by revanchist international actors, ala the 90s. That works. His domestic popularity remains high, even though cynicism about his regime is also rampant. Putin is smart. He circles the wagons. May is on the back foot. But she is not, in this instance, in the wrong. Pogliaghi, you may be completely right. As the article says, “facts are thin on the ground”. But what facts there are can certainly be viewed another way. I’d like to offer some hypothesis of my own and one or two facts not mentioned. First of all, not long prior to the Russian World Cup, and Russian elections, and whilst the UK and USA are going through a Russophobia stage, following allegations of Russian interference in the 2016 US elections and the Brexit referendum (don’t get me started on those), a Russian, a former Airborne soldier, and former member of the GRU, who was previously in prison in Russia for spying against his own country, who was then pardoned and used in a spy exchange, and then lived in England under his own name, in a home that cost £260,000, and was purchased in his own name and without a mortgage, is found on a park bench, with his daughter, as a result of what is now known as a nerve agent poisoning. Given all the above, it is very, very odd timing for the Russian state to turn-around and suddenly attempt to ‘off’ an old traitor. This could have been done quietly and without the same level of uproar back when he was originally arrested. Putin was President when Skripal was caught and sentenced. He was pardoned and swapped by Medvedev, but these two have been swapping the top Russian jobs between them, so there is little reason to believe that Putin might have latterly decided that this spy-swap was too good for Skripal and he should be should be killed eight years after the swap, and when he wouldn’t have been that hard to find, and at a time that would have thrown petrol on a growing Russophobia fire, prior to elections and prior to Russia hosting the World Cup. Would Putin really not have considered all this? Perhaps you might argue, he might be so arrogant as to not care. And perhaps that is so. But again, I come back to what has changed to make Putin now decide to have Skripal killed, when he could have done it, without all theses complications, years ago. So sorry, but the reasoning doesn’t work for me. It looks and smells more like a false flag operation that is designed to point the finger at Russia, and is taking advantage of the likelihood that the Russian state, and perhaps on Putin’s orders, killed Litvinenko, as that occurred in 2006, during his earlier (second term of) presidency – which is also when Skripal was convicted of spying. So Putin has a defector (and outspoken critic) killed abroad, but a traitor he has in his hands merely goes to prison and later on is pardoned and allowed to leave (as part of an exchange), as if in some recognition of his previous service, prior to becoming a spy. So no, I don’t believe the the current Russian state is any better than anyone else, and I applaud much of this article’s comments and stance (but not quite entirely), but of this particular crime, the evidence that we are aware of, and is available, does not stack up to me. The nerve agent named was developed by the Soviet Union – an important distinction from Russia. I point this out as after Uzbekistan separated from the Soviet Union, it asked the US for help in cleaning up sites where it has been developed and tested. So the US could have had it. And Porton Down was presumably where the nerve agent was identified in the UK, so the UK could have made it. Which brings us to the PM demanding, via Boris Johnson (who wouldn’t have loved to have seen Boris face-down the Russian Ambassador and whether he bumbled and bungled it or not), an explanation from Russia about whether or not they did this, or ‘lose control’ of their supposed stock pile – when they must surely know that this nerve agent could well have come from places other than Russia. It’s pure political posturing and it’s all heading in one direction. There is no way that Russia is going to admit that it did it, whether it did it or not. It is not at all likely that Russia will admit that it cannot account for all of a stock pile of a deadly nerve agent that it shouldn’t have had in the first place, so there is somewhere between zero and squat chance of Russia responding in a way that would satisfy the UK Government’s demands and stance. This will inevitably lead to greater anti-Russian feeling and escalations against Russia. This could affect what is going on in Syria and whether or not the UK votes for military action in Syria, which it previously voted against, although the UK is supposedly targeting ‘terrorists’ within Syria anyway. So this could be the UK Government’s doing, in order to try and drum-up an excuse to go up against Russian-backed Syria, and improve the current Tory Government’s standing with the electorate with a ‘bloody good war’, or “Our Falklands”. It could also have been the US’s doing, to strengthen the anti-Russian sentiment at home and to push the UK into further joint action against Russia – such as in Syria, and possibly via NATO. Or it could be Russia, not giving a damn about any of the above, because they have ‘the bomb’, too. Given all these possibilities, can we get Scotland to leave the UK and stay in the EU, please, where, you know, they’ve actively gone about things, like managing trade and international relations in such a way as to prevent war from happening. Good article but surprised that you’re apparently hoodwinked by the MSM narrative on Syria. Russia, although they obviously have geopolitical interests at stake, are among the only foreign powers to have played with anything like a straight bat there – their invited, legal and above board intervention in Syria has prevented an albeit authoritarian secular state from sliding into barbaric anarchy as in the case of Libya – or at best, from turning into a sort of backwards vision of Saudi Arabia without the nice bits. This contrasts starkly with the widespread yet underhand sponsorship of militant, bloodthirsty jihadists by the UK, France, the US and their allies – Saudi, Quatar and Turkey. This does not make Putin some kind of saint beyond reproach but it does prove the point you seek to make above that the world is not made up of black and white goodies and baddies. I think we may disagree completely about Syria. i think its convenient and irresponsible to blame all and everything we find inconvenient on the ‘MSM’. Your take on Russian involvement in Syria is utterly bizarre! If you really did read Craig Murray’s whole article then you’ve chosen to omit a great deal. For he listed all the procedures May should have followed over this latest business but did not. And he also provided an awful lot of info about this nerve agent which made May’s claims appear well dodgy. I’m no apologist for Russia incidentally but I’m a big fan of facts. Russian intervention effectively brought an end to the Syrian civil war. Nato Turkey, however, continues to wage an anti-Kurdi war along its southern borders with the support of Syrian rebels. Little reporting of this in UKanian media. Crimea was gifted to Ukraine by Khushchev without local consultation. It is culturally Russian. If their is a stench of fascism in the air it has a Ukrainian ingredient. There’s a very plausible argument that Russia is the lesser of two evils in Syria. As for Crimea, that’s correct, but enforcing referenda at the barrel of a gun isn’t international legality either. The invasion of Donbass by polite Spetsnatz shows clearly that will of the people is an optional pretext for Soviet revanchism. And the same revanchism explains why Ukrainian nationalism is categorically not a fascist movement per se. All nationalist movements have far right elements, even our own (hi, “National Action”, or whatever you’re called after the latest Home Office ban.) I have to say your reading of events sounds like it’s been filtered through RT memes. I’m not sure what bit of my take on Russian involvement is bizarre, do tell. I did read Craig’s article – and I disagreed with a lot of it. Craig Murray is a failed politician who was fired. He has a track record of lying for rubles. And as for “The Russians aren’t coming” tell that to the 10,000 casualties of their occupation of east Ukraine or the families of Putlers victims on Mh-17. Did you know that the invasion of Ukraine is the first time anyone has annexed part of Europe by force since the joint Russo-German invasion of Poland in 1939? Poor analisis of a disturbing trend to demonise Russia and its people. Mouthpiece May and her gang are yet another version of the bile emanating from Trump’s dysfunctional America. Accusing someone of murder on the basis of “most likely” is similar to the verdict of those who used to burn witches in medieval times. False flag is written all over this latest episode with the same cast who advocated war with Iraq leading to the deaths of more than half a million people. The American’s are waging continuous war throughout the world. Their main industry is the manufacture of weapons of lethal destruction . Conflict and demonisation of countries not on their side of the fence is their modus operandi. The msn in the west is a totally corrupt entity run by lunatics who appear to advocate a war with Russia. The logic of the asylum. You don’t appear to have read the article, or perhaps you have and haven’t comprehended it. Liked the quotes in the MSM informing the people that Russia as a nuclear power would not be threatened and intimidated by the UK. Now with disinformation being the modus operandi of the MSM what are we to make of this line. Are the Russians really threatening us, or like the usual prelude to UK action, be it Iraq or wherever, are we being fed a line. Suspect the latter and not the former, and you are left with the question what is going down. Suppose there’s a pipeline of information — government secrets, say — that state insiders are party to but not yet the general public. Every so often a valve opens somewhere and some compromising new information is released into the pipeline from an official (if redacted) periodic declassification, a whistleblower, a systems breach, insider memoir, public inquiry, legally-backed request or someone leaving a collection of documents on a bus (for example). Surrounding the mouth of the pipeline are the media, academics and so forth: the filters, fetchers and carriers. When a state insider has advanced warning of when (accurately or roughly) a compromising piece of information is about to drip forth, they may use one of the weapons of information warfare to try to render this release harmless, or use it to (say) discredit enemies. Suppose that this pipeline was currently bulging with a shocker from the history of British state assassination. Released without further context, the effects might be damaging. However, if the release was imminent you could muddy the waters with claims of a new assassination by a foreign power, so that mention of the historical crime would look like someone slinging mud to draw attention from the modern assassination. This example is of course pure speculation. Nevertheless, the pipeline, the state insiders, the methods of leakage and of information warfare all exist. And the full extent to which governments manage and manipulate the release of information is, in the UK at least, a state secret. Nafeez Ahmed seems to be taking a similar position to Craig Murray with regards to the nerve agent. One thing that puzzles me is the lack of focus on the person or persons that actually administered the poison. Have they simply disappeared into thin air? The government’s case would be so much more convincing if they arrested a Russian for attempted murder, or at least named a suspect or released a picture of them. But nothing. I wonder what Porton Down’s safety record is like. Maybe we should find out what’s going on there before handing them loads of dosh in response to this incident. Nafeez is a post-Iraq polemicist who churns out simplistic anti-Americanism, so he’s naturally going to side with the Russian narrative. 2/ Litvinenko and a bunch of other exiled minigarchs and KGB also-rans have been bumped off with poisonings. It’s just SOP for dealing with dissent in Putin’s Russia, hence, abroad. 3/ May is not going to yield face to Putin by submitting to UN investigation in the face of this blatant and overwhelming mountain of circumstantial evidence to support UK intel’s claims. This is not like Dubya swaggering into the UN and laying down the law about Iraqi WMD. And it’s not even like David Kelly, who was, one suspects, murdered, but who was *our* dissident. 4/ No-one can answer “cui bono” for the false flag conspiracy this time. What would it be? NATO and EU are at their weakest point in the existence of both and now Western intel wants to conduct a stress test by confronting the Russians via a false flag provocation.. that’s just a Weak Conspiracy Theory. And no-one can propose a different actor with a different motive. At least he was important once (and more importantly informed once) as opposed to you lot. I get your points Pogliaghi but nonetheless the only justification the Government has so far put forward for blaming the Russians is Novichok. In the Litvinenko case there were, I think, two named suspects and highly detailed information about their movements. Of course it’s early days – perhaps more information will be revealed in the coming weeks. You’re right about this, Mike. In regard to Georgia and Ukraine, I think you and Craig are wrong. Particularly in regard to Ukraine where the battle is really between local oligarchs for economic power and control. Syria? Russian intervention has killed thousands…and also saved thousands from U.S./Saudi/Turkish supported Islamists. Russia is no better, and no worse, than the UK or U.S.. They are both, as you point out “duplicitous murdering foreign power(s)”.